I&apos;m hoping you&apos;ve all heard of the delightful shop in downtown New Cumberland that is Oxford Hall Celtic Shop. They are a three-generation family business that has been open for 30 years. When I stopped in the other day and asked about misconceptions of their store, owner Cindy shared that people think everything is green and white with shamrocks. While you&apos;ll definitely find a few shamrocks, Oxford Hall offers so much more. Below are seven really cool things I learned about the shop. 1. Owners Cindy and Steve are certified by the Federation of Jewellery Manufacturers of Ireland to sell high-quality jewelry at their store. This is the perfect place to go to shop for authentic and quality wedding bands and Celtic statement pieces. As Cindy said, "If you&apos;re buying your wedding band or something you want to pass down for generations you want to get the best quality." Very few countries regulate their jewelry the way Ireland does. 2. 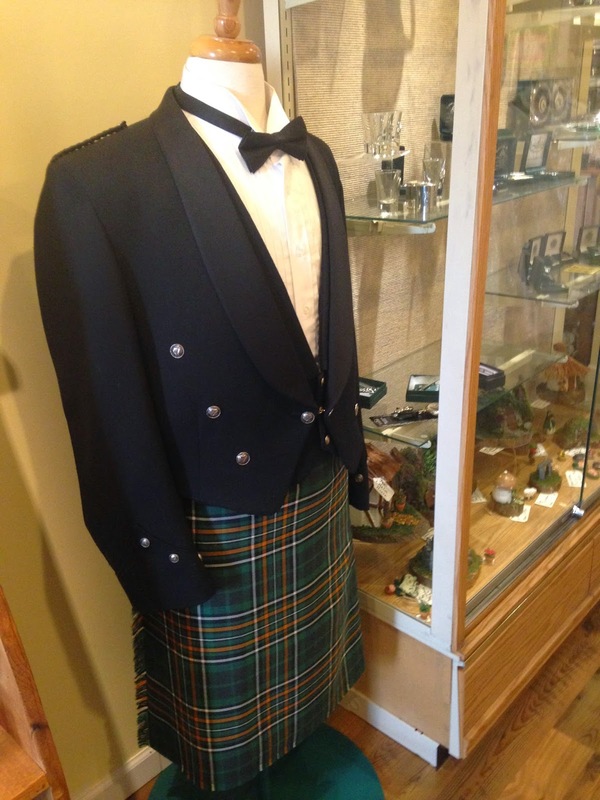 Continuing with the wedding theme, many may not know that you can rent or buy Kilts for your wedding at Oxford Hall. They will also help you learn how to integrate Irish traditions into your wedding, whether it&apos;s as minimal as sewing a small horseshoe for good luck to your wedding dress or a full-on Celtic ceremony. 3. Oxford Hall sells an assortment of clothing at their store including Baptism and First Communion outfits, authentic sweaters and more. The quality of their sweaters and other clothing items can only be found in the small Irish manufactures that they get them from. One unexpected item I found was their new Downton Abbey collection. These lacy shawls and wraps, modeled from the hit TV show, were beautiful and would be perfect for weddings or even upcoming proms. 4. 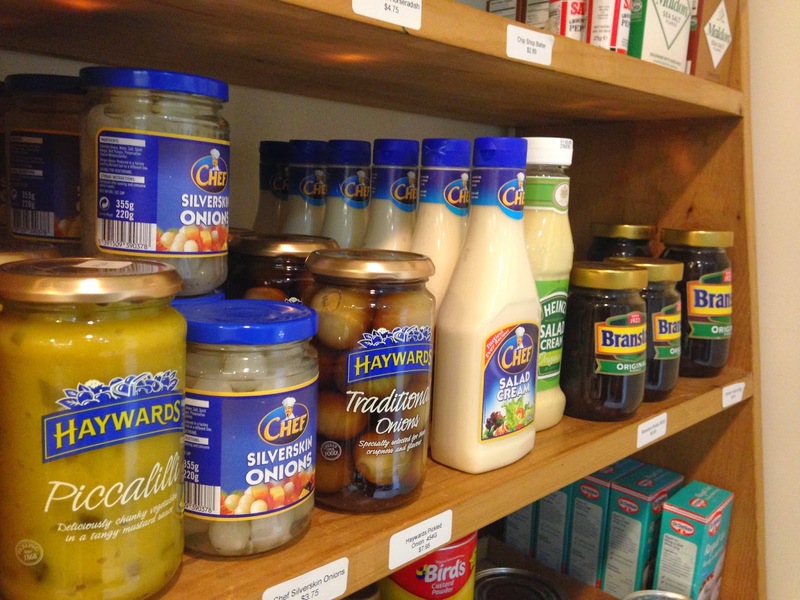 Oxford Hall has an entire wall of authentic Irish condiments, candy bars, canned goods and other hard-to-find favorites. These items are the originals, shipped over from Ireland, rather than the Americanized versions you may see other places. The Butlers chocolate bars from Dublin looked especially yummy. 5. Guinness originated at the brewery of Arthur Guinness at St. James&apos; Gate in Dublin, so the fact that a Celtic store would have a few Guinness products may not shock you. However, Oxford Hall has all things Guinness from a variety of glasses to the official pouring spoon. This is a great place to go to find a gift for the beer-lover in your life. 6. 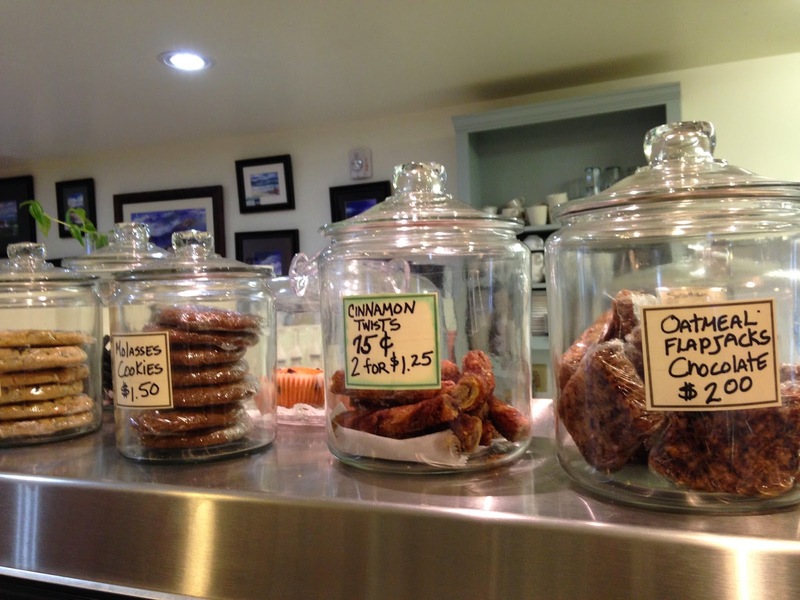 Oxford Hall is more than a store, they also have an Irish/English Tea Shop with delicious breakfast and lunch options. They are serving up favorites like Irish Potato Soup, British pasties, meat pies, bangers and Scotch eggs. 7. Ok, this one you might have known...but Oxford Hall Celtic Shop is the perfect place to celebrate St. Patrick&apos;s Day. Join them Tuesday for bagpiper music and authentic Irish food, including boiled bacon and cabbage (the real Irish version of the American-Irish corned beef and cabbage). Also, 10% of their sales on St. Patrick&apos;s Day will go to several Irish and Catholic charities. If you&apos;ve never stopped in to Oxford Hall Celtic Shop you really need to check it out. If you have been there, what did you find?